Be the 1 out of 5 who will join the international dream team of changemakers! Will you be the one that will take a lead and the rest will follow? Will your ideas change the way media are REpresenting migration issues and challenge politicians WHO manipulate people’s fears and use hate speech? Apply now and participate in “Voice4Migrants” strategic planning workshop in which you will create a work plan for an international group from at least 7 different countries. You will represent your country and engage in a highly participatory learning process. Be prepared to expand your horizons, apply your skills, knowledge and witness how your ideas grow and bring social change. Only 5 people will have this once-in a lifetime opportunity! Outstanding professionals from diverse fields will review your applications and decide who demonstrates the greatest potential to bring about change and has a motivation to be the inspiration for the positive change that our divided world needs. The deadline to apply is 16th of July. The aim of “Voice4Migrants” is to foster dialogue on policies of migrant integration and the reception of refugees across European countries, and to enable European citizens to develop counter-narratives to hate speech. What is more, it will provide migrants with the opportunity to share their experiences of integration polices with the public. This Creative Workshop, however, is not the only event that “Voice4Migrants” implements! There will be also a Workshop in Hungary and a training course in Spain, as well as 2 more events of evaluation and dissemination of results in Lithuania. So the journey for you won’t stop here! Be ready to travel with us around Europe and gain unique experience that you will never forget. Are an experienced trainer, facilitator, who has experience working with big international groups and specialises in Human Rights Education. Then apply now for the Workshop “Voice4Migrants”! It will take place in beautiful Antaliepte, Lithuania on the following dates: 15 – 17 September 2018. The Workshop will be divided in 4 different groups. See the categories below and decide which most fits your skills, talents and expectations. Please note that you may only apply for one group. Dates: 15 – 17 September 2018. Costs: We provide you with accommodation, meals and travel expenses but be aware, that the contribution to travel costs has certain limits. To apply please choose only one of the group that you prefer to be a part of, and complete and return the specific application form by 17 July 2018. The call is adressed to all EU countries, Montenegro, Serbia and Macedonia, Albania, Bosnia and Herzegovina, Kosovo, but please note that priority will be given to participants from Lithuania, Greece, Hungary, Spain, Italy, Netherlands and Germany. If you have any questions or inquiries, please do not hesitate to get in touch by emailing info@media4change.co. 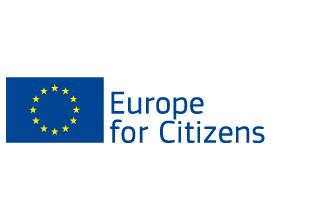 This invitation is a part of the project “Voice4Migrants”, funded by “Europe for Citizens” programme.